An Embedded system is one of the biggest solo categories of projects that are especially for electronics & electrical engineering student. IEEE embedded system project ideas can vary from comparatively uncomplicated concepts to fairly intricate projects. Also with IEEE embedded systems projects there are lots of alternatives in means of the size & characteristics of the microprocessor and microcontroller employed. In IEEE we learn about various microcontrollers such as- ARM, AVR, PIC 16/18, Coldfire and a number of other microcontrollers that are suitable for a particular kind of project. Robot Control with speech alert and touch screen. Now Let us see the importance of each project in detailed like Introduction, Description, Harware Components and Software. Car parking is a big issue in the present scenario, as the number of cars are increasing day by day, on the other hand parking space is getting restricted. A great amount of time is wasted in looking for a parking space. This project portrays an approach to conquer these circumstances of checking and managing a parking space by bringing into play a vision based automatic parking system. The web camera used will provide the information about the space availability & this data will be stored in the PC. The LCD screens will display the information with the help of micro controller employed. When a person comes for the car parking he may search for the space availability, the PC will send all the information to the microcontroller & controller will send the information to the LCD screen, where the person can see the availability. If any space is available the door will be opened automatically or else it will remain close. Due to earthquake & tsunami a large amount of destruction happens & population dies every year. These natural calamities never give an alert before occurring. To avoid this destruction & deaths we are building a project which will alert the public about earthquake, tsunami, etc. This simulation of natural calamity will be done with the help of GSM technology. This system keeps on monitoring the vibrations of the earth caused at each & every single second of the day, in case where the vibration of the earth crosses the threshold this system produces a signal, thereby alerting public. . When the earthquake take place the signal is produced and the accelerometer is stimulated and the signal is convey all the way through the ADC to the Microcontroller. These signals are generated as soon as possible. Owing to the quick signal there is a possibility of false alarming. But in this stimulation project we bring into play 2 accelerometers located two to three meters away from each other. When microcontroller receives same signals from both of the accelerometers then it gives a message about the Earthquake information. When an alert is sensed about the earthquake by this system, it spreads these discrete earthquake intensity values to a central location by using GSM technology. This data is then exhibited on the LCD screens. At the same alert buzzer starts on buzzing. 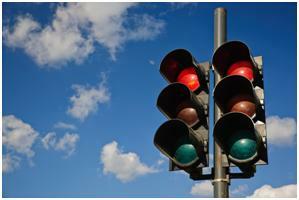 Generally traffic light control is required for cities with huge population like Delhi, Mumbai, Bangalore. At times the jams are so long that the traffic police man is unable to hear the siren of an ambulance, as a result the ambulance has to wait for long & due to this any mishap can be caused with the patient. So this project helps us to conquer this situation. To keep a check over the traffic density we are employing few IR sensors on the road sides & on the information given by the IR sensors & the density of the traffic the traffic signal lights will change. The sensor sends all the information to a comparator to digitalize the information provided. If the first IR sensor is blocked the traffic signal will show green light for approx 10 seconds, when the second IR sensor is blocked by traffic the signal will be green for 15 seconds & the timings are also displayed on the LCD screen attached. In case of any ambulance near by any signal during emergency situation, then the LCD screen has to send a default number information to the centre point through GSM technology, as a result the signal will soon be green for about 20 seconds. Security of your vehicle, house and office is very important these days. Hence this project is developed with a security system that is enabled with a feature of password & motion detection. By bringing into play a GSM technology the administrator will be updated with the movements taking place in your premises, this information is conveyed with the help of SMS. The administrator is allowed to take an action from anywhere, this helps in saving time while emergencies. This project is created by a low cost security system which is enabled with a small PIR (Pyroelectric Infrared) sensor which is attached with the Microcontroller. This PIR sensor takes benefits of polyelectricity to sense human body. As human body is a constant source of passive infrared radiations. The mechanism of the project detects human body existence by the signals produced by the PIR sensor. In case of detecting a suspected individual in restricted areas the system produces an alert alarm together with a call to a specified number by making use of GSM modem. This system is enabled with a smoke sensor which alerts in case of fire. This extremely responsive approach has small computational constraint, as a result it is well-matched to scrutiny, industrialized applications and smart surroundings. The Microcontroller employed in the system controls the entire mechanism of the project & thereby is considered as heart of the project. In the present technological growth remote control are very important for automation of user and industrialized products and in addition to SPACE or Defense applications. XBEE is an essential element which plays a fundamental role here. An automatic wireless remote control integrated in Microcomputer outline the core structural blocks of wireless security mechanism substituting old wire technology. This project of touch screen robot control with speech alert brings into play P89V51RD2 microcontroller. This assignment is best in the field of medicines. This transmitter is located near the patient & the patient employs the robot to move & send information to the doctor by making use of the touch screen. In situations where patient cannot reach doctor, at this time the patient sends all his information with the robot. The patient moves the robot left, right, forward & backward with the help of touch screen pad. In the keypad a predefined voice message is entered in each key and when the patient press the key that pre entered message is given to the doctor. Doctor now can act as per the information provided. The robot is incorporated with the receiver. Here we are communicating with the help of Xbee. Generally all ordinary solar panel is faced on one side or direction. Owing to this reason solar panel does not get adequate sun rays to work efficiently. This Single Axis Solar Panel project is intended just to conquer this inefficiency of solar panels. This project will bring into play LDR technology which will help the solar panel to get sun rays from all directions. This project is designed with an aim to get automatic control over the solar panel, which will result in getting complete sun rays from all directions. 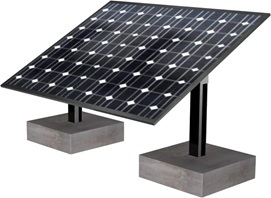 This is achieved by giving movement or rotational value to the solar panel. The sun rises in east & sets in west hence in ordinary solar panel the sun rays collected is either from east end or west end, so to overcome this a rotation power s given so that rays are collected from east & west both. The rotational power is given to the panel by using stepper motor. 5 LDR’s are placed at arch and depending on the LDR’s intensity the stepper motor will rotate. LDR’s intensity will be less where sun’s intensity is more using this principle it will work. LDR will also optimize the power capacity. ADC will show all the readings given by the LDR and this reading will be transmitted to microcontroller of 8051 family. 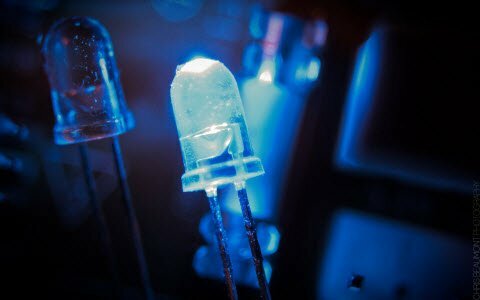 According to the reading thrown by the ADC, the micro controller with the help of relay glows the LED. If the power of the glow is more it means all the LED series will be turned OFF. As per the intensity of the glow LED series will be turned ON or OFF. In this project microcontroller is the heart of the complete system. This GSM based project is employed in Airports. At the departure time of the flights a number of things have to be kept in mind such as- Baggage collection, Runway clearance, etc. Depending on all these aspects we have planned this project for Airport. In the present situation while landing any aircraft a voice confirmation is sent from the Air Traffic Controller (ATC) to the pilot. After landing of the craft the plane is escorted to the parking where passengers are allowed to exit & collect their luggage. All the devices employed in lounge is manually accessed & this leads to lots of wastage of energy as well as time. There are many chances of accidents as well owing to human error. In this project we check the runway before landing, for this we have placed IR receiver & IR transmitter facing each other on both the sides of the runway. Pilot is asked to send the landing message to the base station. If the runway is free base station will send landing message to the pilot by GSM technology. In this assignment landing of the plane is shown by LED (demo purpose). After the landing escalators are sent for this we use DC motor (demo Purpose). We are also placing a IR obstacle sensor, this sensor will lead the baggage on the belt as it comes near to the sensor for this we are (demo purpose) using DC motor. To achieve success in this project a microcontroller of 8051 family is employed. In recent times, in order to obey the requirements of saving energy, carbon reduction, and ecological safety, all of the electronic gears and energies are demanded to gratify the green demand. On the other hand, gigantic fuel oil vehicles bring about severe air pollution and damage the environment. Thus, the creation of the EV (electric vehicles) or the HEV (hybrid electric vehicles) are developing into an important issue in many nations. The secondary batteries are the major source of energy to these Electric Vehicles. Therefore, energy management is the vital key aspect in hybrid electric vehicles or EV designing’s. In this project of bi-directional power converter for electric bike we run a machine using motor driver which is activated by the microcontroller. That machine is attached by one more motor. Owing to combination the other motor take turns and produces back EMF. This back EMF produced is amplified and used to charge the battery. Here a motor driver is used which is activated by the microcontroller. The attached motor moves when the primary motor moves so production of back EMF is started whenever the machines move. The so produced back EMF is used to advance block where the boost block advances the back EMF to 12Volts and the battery is fed with the same. To exhibit the voltages produced by the battery and back EMF, a LCD is employed. 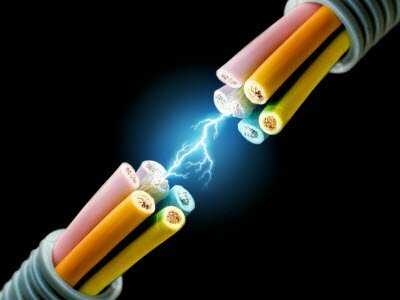 The battery voltage in addition to back EMF will be higher to provide it to the microcontroller so voltage separator is employed which splits the voltage by 10 which will be more adequate to calculate. This project explains the functioning & performance aspects of ARM7 based wireless sensor node in observing the parameters such as CO2, humidity & temperature surrounding the pipeline. To detect any variation in these parameters this system is employed. This system uses a battery operated wireless node sensor which is interconnected with other external sensors to evaluate the parameters. This project works with ARM7 microcontroller, threshold is entered with a predefined parameter levels. The sensors employed give analog volt output. This output is supplied to the ADC will convert analog output to digital. This digital output is evaluated in Microcontroller. If the humidity, temperature & other parameters does not match or goes beyond the predefined levels, it will send information to the monitoring place with the help of Zigbee technology. All the parameter levels detected like humidity, temperature, etc will be displayed on the LCD used. To make the system of library automated this project is planned. 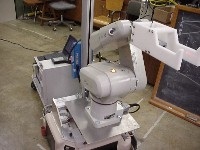 To employ this process of finding books in the library we bring into play Robot Arm with some freedom, which will aid in finding out exact book needed. In this project all books will be tagged by RFID tags & a tag reader is enabled in the robot. The robot will carry out a beast force way to search & in case the book is located the robot arm will be lowered till the IR obstacle sensor located in the Arm find the book. Later the robot arm will grip the book with its jaws & then the robot moves in the opposite direction to place the book where it initiated from. Similar technology can be applied in supermarkets. AC Lamp Dimmer controlling via Mobile Phone. Wireless Monitoring Circuit for Photovoltaic Panels in Grid-connected Systems. RF based SCADA implementation . Power Quality measurement and development of Monitor Device. Energy meter monitoring and control system. 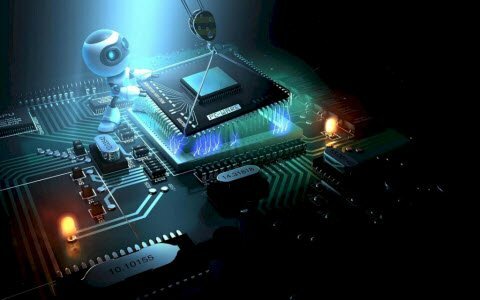 Embedded Systems is an extremely broad field of learning which needs intense knowledge of real time projects to help aspirants comprehend the prominence of the domain in the electronics field. 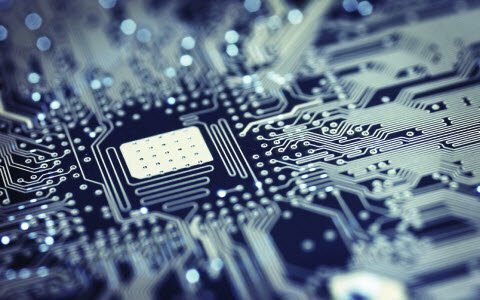 Embedded Systems are today functional on a number of electronic appliances. There are only few projects which get the IEEE acceptance and these acknowledged projects go like hot cakes concerning to their demand. 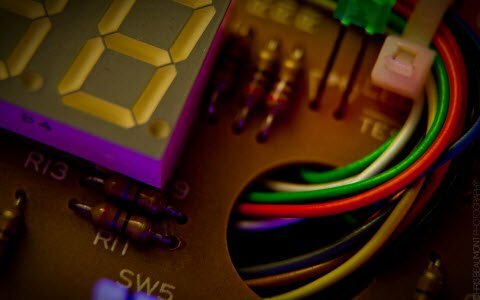 Good collections of the topic in embedded projects. Especially, I like the second topic which is very needed for us. For more latest project ideas please check out the link. Hope this link will help you. Actually, we deal with electrical and electronic projects for engineering students. please check out the link for some good paper presentation topics. Hope you will like it. 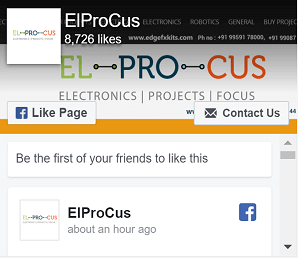 Please check out the following links for the latest embedded projects. I need some projects in embedded system related to automobiles and also in VLSIi system related to automobiles. pls send embedded upcoming project about defense and real time.